History: Coach car #161 was built for Pennsylvania Railroad as part of a fleet of 21 roomette sleeping cars. It was rebuilt in 1963 as a 76-seat coach. In 1991 it was rebuilt by MARC to current 80-seat configuration. In 2000, it was owned by Akron Metro and leased to Cuyahoga Valley Scenic Railroad. Ownership was transferred from Akron Metro to CVSR as an in-kind contribution on October 29, 2013. History: Coach car #164 was built for Pennsylvania Railroad as part of a fleet of 21 roomette sleeping cars. It was rebuilt in 1963 as a 76-seat coach. In 1991 it was rebuilt by MARC to current 80-seat configuration. In 2000, it was owned by Akron Metro and leased to Cuyahoga Valley Scenic Railroad. Ownership was transferred from Akron Metro to CVSR as an in-kind contribution on October 29, 2013. History: Coach car #166 was built for Pennsylvania Railroad as part of a fleet of 21 roomette sleeping cars. It was rebuilt in 1963 as a 76-seat coach. In 1991 it was rebuilt by MARC to current 80-seat configuration. In 2000, it was owned by Akron Metro and leased to Cuyahoga Valley Scenic Railroad. Ownership was transferred from Akron Metro to CVSR as an in-kind contribution on October 29, 2013. History: Coach car #168 was built for Pennsylvania Railroad as part of a fleet of 21 roomette sleeping cars. It was rebuilt in 1963 as a 76-seat coach. In 1991 it was rebuilt by MARC to current 80-seat configuration. In 2000, it was owned by Akron Metro and leased to Cuyahoga Valley Scenic Railroad. Ownership was transferred from Akron Metro to CVSR as an in-kind contribution on October 29, 2013. 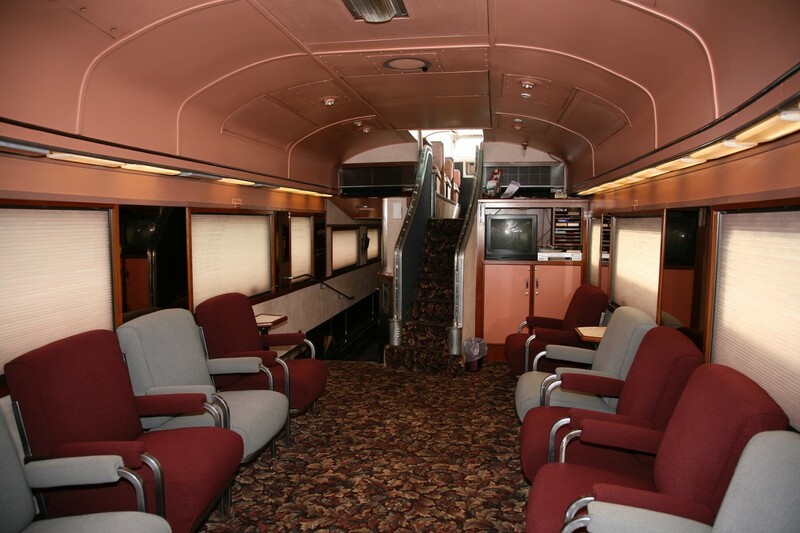 History: Coach car #6217 was originally built for the Seaboard Airline Railroad. CVSR acquired this coach in November, 1996. History: Coach car #162 was built for Pennsylvania Railroad as a 21-roomette sleeping car. It was rebuilt in 1963 as a 76-seat coach. In 1991 it was rebuilt by MARC to its current 80-seat configuration. The car is sponsored by Mary S. and David C. Corbin. History: Coach car #163 was built for Pennsylvania Railroad as part of a fleet of 21 roomette sleeping cars. It was rebuilt in 1963 as a 76-seat coach. In 1991 it was rebuilt by MARC to current 80-seat configuration. In 2000, it was owned by Akron Metro and leased to Cuyahoga Valley Scenic Railroad. Ownership was transferred from Akron Metro to CVSR as an in-kind contribution on October 29, 2013. 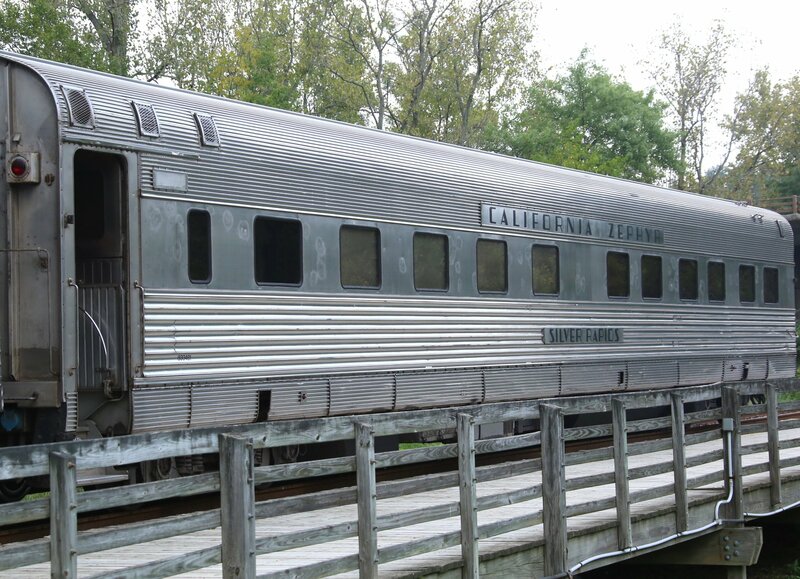 The train car is named after CVSR founder Siegfried Buerling. History: Coach car #165 was built for Pennsylvania Railroad as part of a fleet of 21 roomette sleeping cars. It was rebuilt in 1963 as a 76-seat coach. In 1991 it was rebuilt by MARC to current 80-seat configuration. 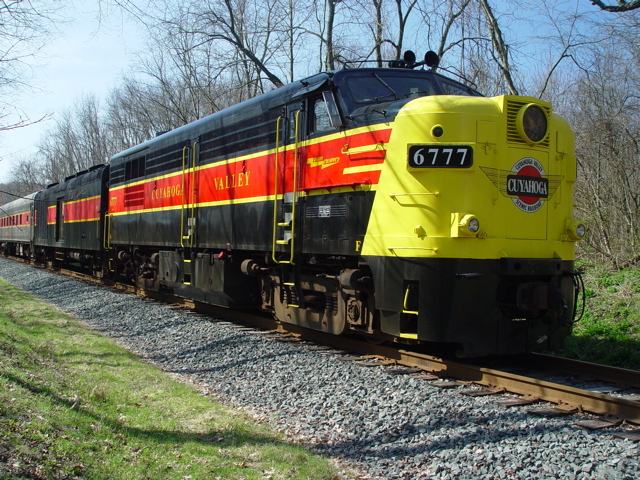 In 2000, it was owned by Akron Metro and leased to Cuyahoga Valley Scenic Railroad. Ownership was transferred from Akron Metro to CVSR as an in-kind contribution on October 29, 2013. 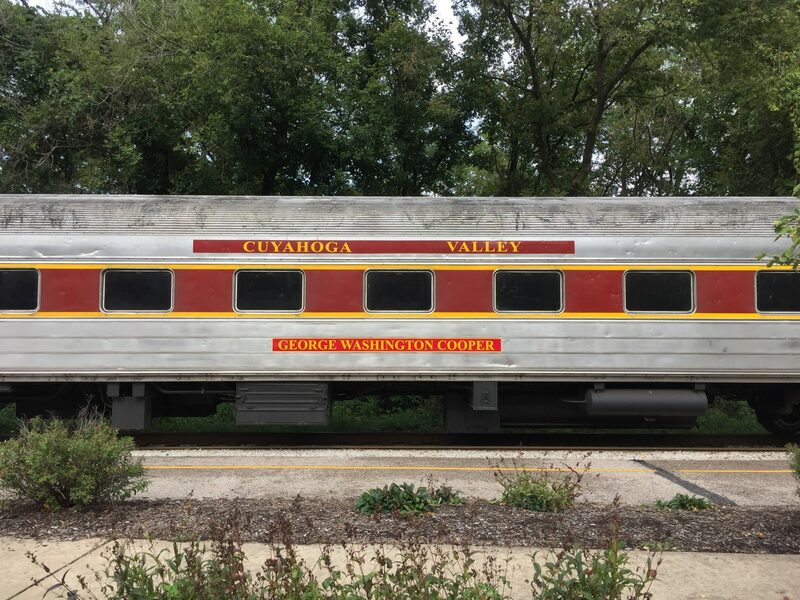 Car #165 was renamed in late September, 2018 as the “George Washington Cooper” car by Doug Cooper, CVSR former President & CEO as well as the great-great-grandson of George Washington Cooper. History: Coach car #167 was built for Pennsylvania Railroad as part of a fleet of 21 roomette sleeping cars. It was rebuilt in 1963 as a 76-seat coach. In 1991 it was rebuilt by MARC to current 80-seat configuration. In 2000, it was owned by Akron Metro and leased to Cuyahoga Valley Scenic Railroad. Ownership was transferred from Akron Metro to CVSR as an in-kind contribution on October 29, 2013. History: Coach car #169 was built for Pennsylvania Railroad as part of a fleet of 21 roomette sleeping cars. It was rebuilt in 1963 as a 76-seat coach. In 1991 it was rebuilt by MARC to current 80-seat configuration. In 2000, it was owned by Akron Metro and leased to Cuyahoga Valley Scenic Railroad. Ownership was transferred from Akron Metro to CVSR as an in-kind contribution on October 29, 2013. History: Locomotive #365 was originally built for Seaboard Air Line as Locomotive #124. It was re-numbered to #1226 following the July 1, 1967 merger with Atlantic Coast Line that formed Seaboard Coast Line. In April, 1976 it was leased to the Louisville & Nashville Railroad, who then purchased the locomotive on July 31, 1977 and re-numbered it to #1365. 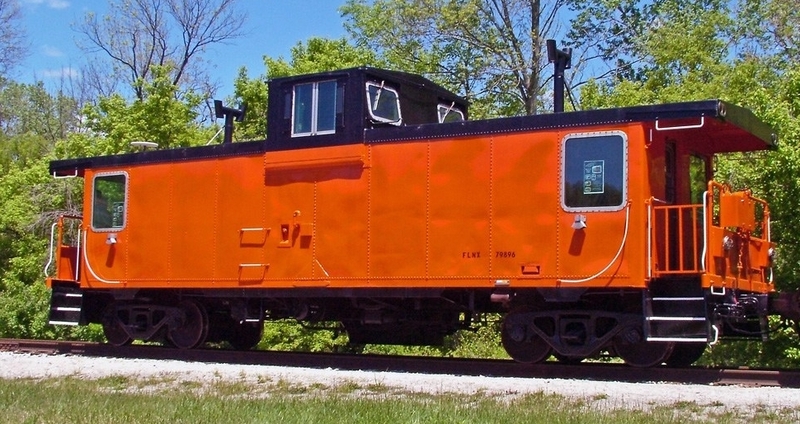 Indiana Hi-Rail purchased it in 1982 and re-numbered it to #365, later they declared bancruptcy and #365 was sold to Indiana Boxcar leasing company. Cuyahoga Valley Scenic Railroad leased #365 in September, 1998 to finish season. CVSR later purchased #365 in December, 2001 from Indiana Boxcar. In 2012, TRIP Funding provided by NPS, allowed for the conversion of #365 to Green Technology which was completed in 2015. 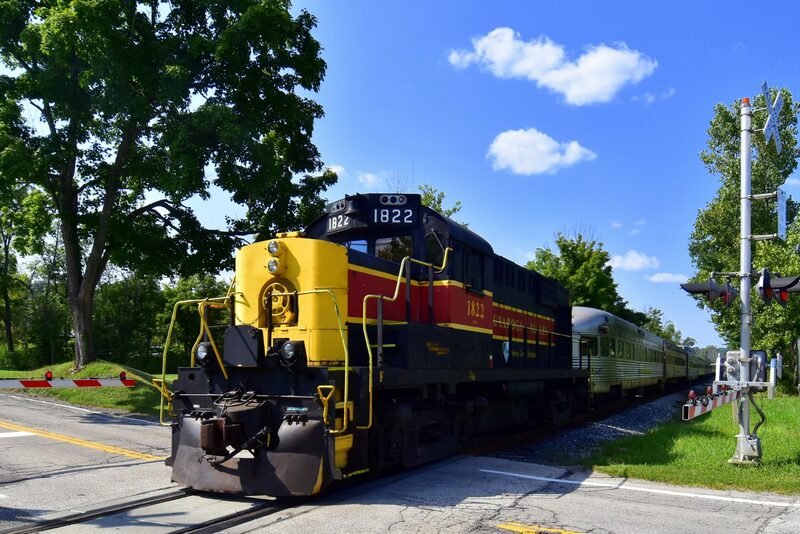 This reduced exhaust emissions by 90%, reduced fuel consumption by 60%, eliminated oil waste, and reduced Cuyahoga Valley National Park’s visual and noise pollution. The project extended the life of the engine for another 25-30 years. History: Locomotive #4241 was originally built for Canadian Pacific as #4241, and then rebuilt in 1976. It was retired in 1997 and sold to the Quebec-Gatineau Railway. It was sold to the Buffalo Southern Railroad in 1999, although never operated on the Buffalo Southern. CVSR acquired the locomotive in February, 2004. #4241 entered service in September, 2005 after extensive work at Fitzwater Maintenance Facility. History: Locomotive Baltimore & Ohio #800 was originally build for Canadian National as Locomotive #6780 and then transferred to VIA Rail Canada when the government took over all intercity passenger trains. VIA retired #6780 in 1989. B&K Engineering purchases #6780 in 1991 for use on the Western Maryland Scenic Railroad where it is painted as Baltimore & Ohio #800. 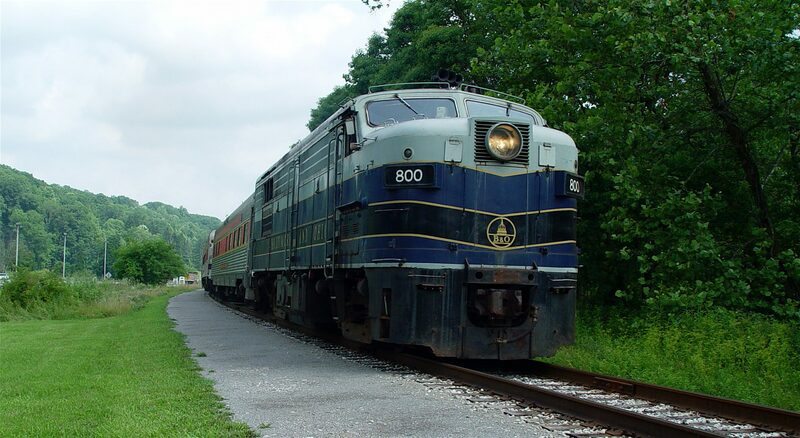 B&O #800 sees only brief use on the Western Maryland Scenic Railroad before being leased to the Northern Central Railroad. 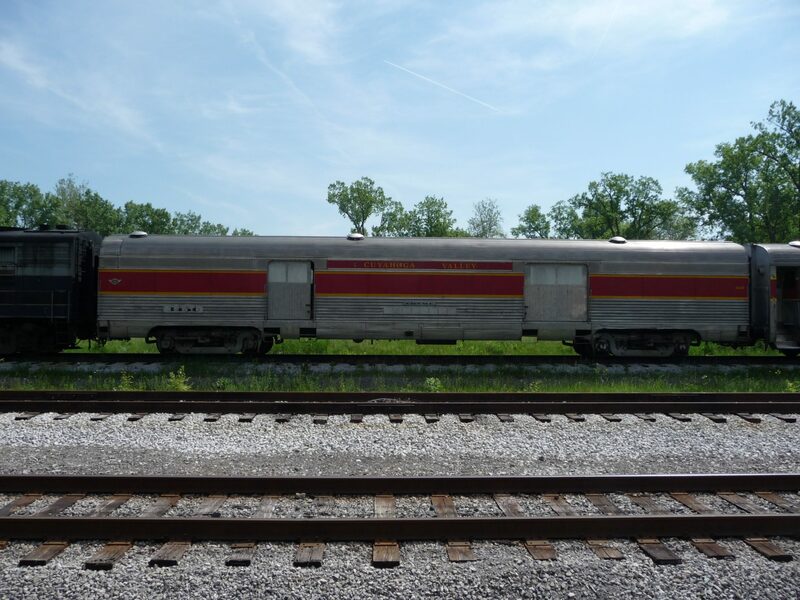 CVSR leased the B&O #800 in June, 2000 and purchased the unit in January, 2006. History: Locomotive #6771 was originally built for Canadian National as #6771 and then transferred to VIA Rail Canada when the government took over all intercity passenger trains. VIA retired #6771 in 1989. B&K Engineering purchased #6771 in 1990 for use on the Western Maryland Scenic Railroad where it was painted as Western Maryland #305. CVSR purchased the engine in April, 1993 and re-numbered the unit to locomotive #15. In 2003 the unit was numbered back to the original #6771. History: Locomotive #1822 was originally built for Canadian Pacific as #8779, and was rebuilt in 1984 by CP’s Angus Shops in September 1984 when it received it’s low hood and 1822 number. In 1998, #1822 along with sister unit #1812 were serving as shop switchers in Montreal and were the last active RS-18’s on the Canadian Pacific Railroad. CVSR purchased #1822 in 1998. History: Locomotive #6767 was originally built for Canadian National as #6767 and then transferred to VIA Rail Canada when the government took over all intercity passenger trains. VIA retired #6777 in October 1988 and purchased by George Hockaday in 1992. It was renumbered as #14 in early 1995. 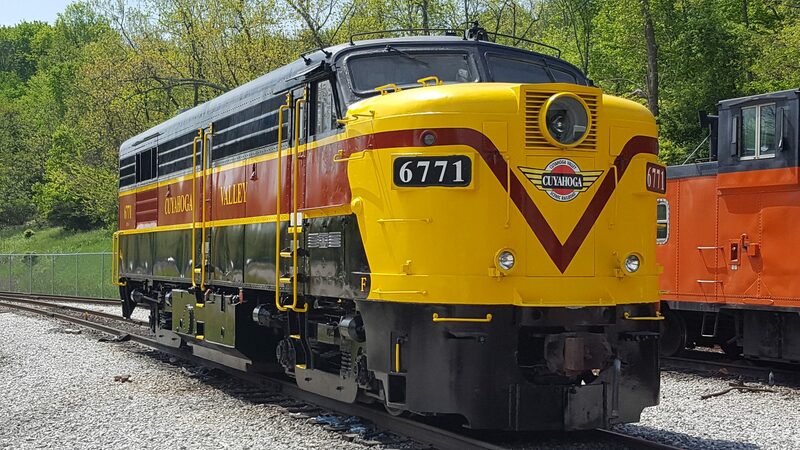 CVSR purchased #6777 in 1994 and re-numbers the unit to Locomotive #14. In 2003, the unit was repainted in a new paint scheme and numbered back to the original #6777. 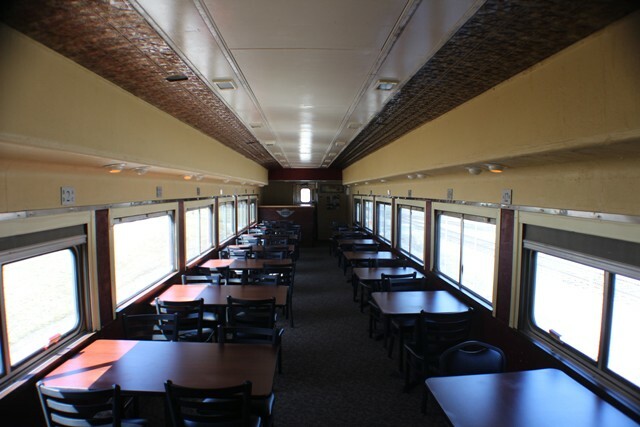 History: Cafe car #8700 was originally built for the Southern Pacific as a Bar-Lounge car on the Sunset Limited. 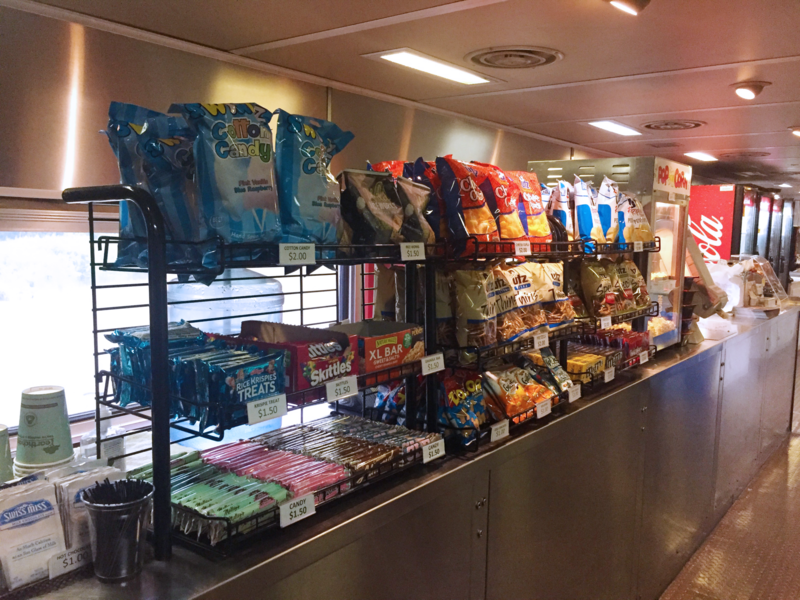 CVSR acquired the car in 2002 and it is currently used as a concession car. Car #8700 is used by CVSR as a concession car for National Park Scenic excursions. History: #3450 was built for the Atchison, Topeka and Sante Fe Railway. It was acquired by CVSR in 2003. Currently used for the Bike Aboard! program, this car is scheduled to receive upgrades to improve use and capacity with funds provided by the Knight Foundation. History: Car #8704 was originally build for the Burlington & Quincy Railroad as a Parlor Car. 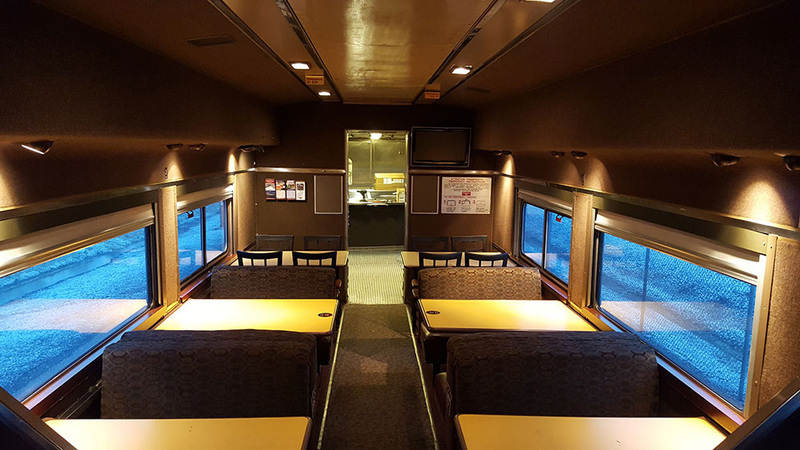 It was rebuilt in 1968 as a 44-seat Snack Bar Coach. CVSR acquired the car in 2007. Car #8704 also has a generator and can be used on smaller trains as a power source for the train. Car #8704 is used by CVSR for as a concession car for special events and excursions. History: Car #1129 was built for the Northern Pacific Railway, and acquired by CVSR in 2009. Formerly used for the Bike Aboard program, in 2012 TRIP Funding was provided by the National Park Service to upgrade both the interior and exterior of the car, including a space-saving roll up door and increasing capacity for 40 more bikes. 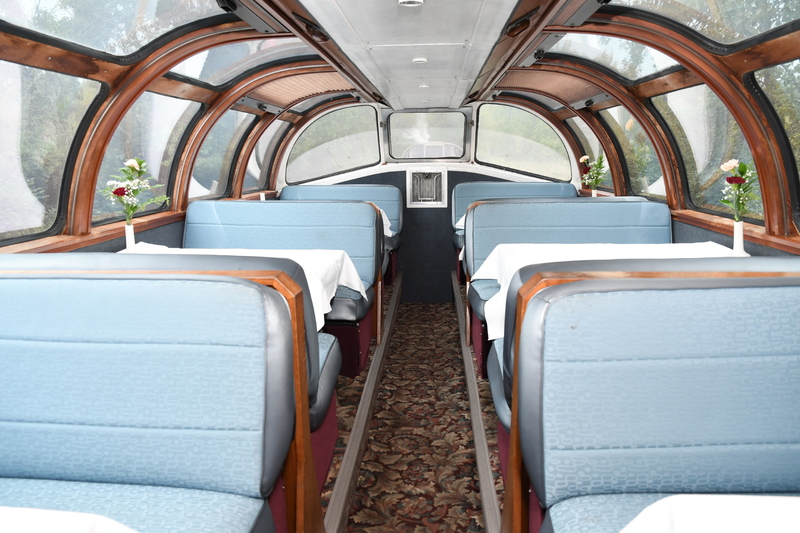 History: Silver Lariat was built in 1948 by the Budd Company for the Burlington Northern Railroad as a dome coach for service on the California Zephyr. 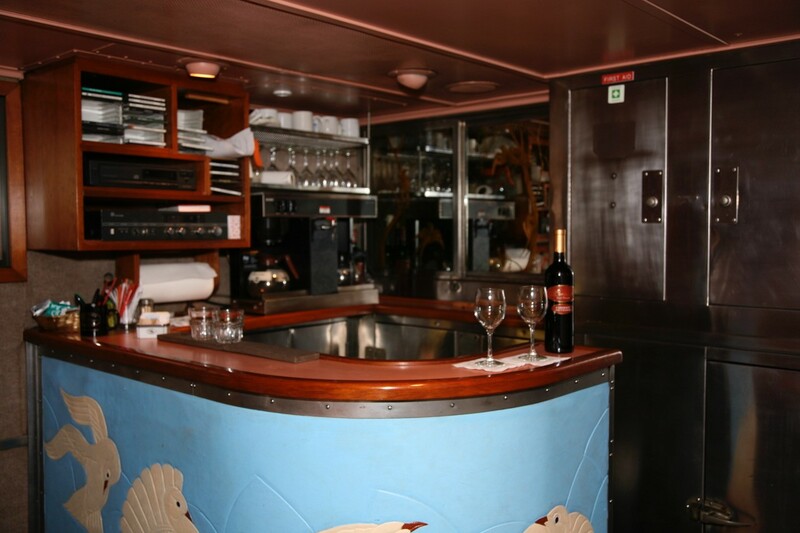 A large dining/lounge area seats 42 passengers (36 at tables) and is equipped with a full bar. From this room, passengers can access the Vista Dome above, which provides panoramic views and seating for an additional 24 passengers at tables. 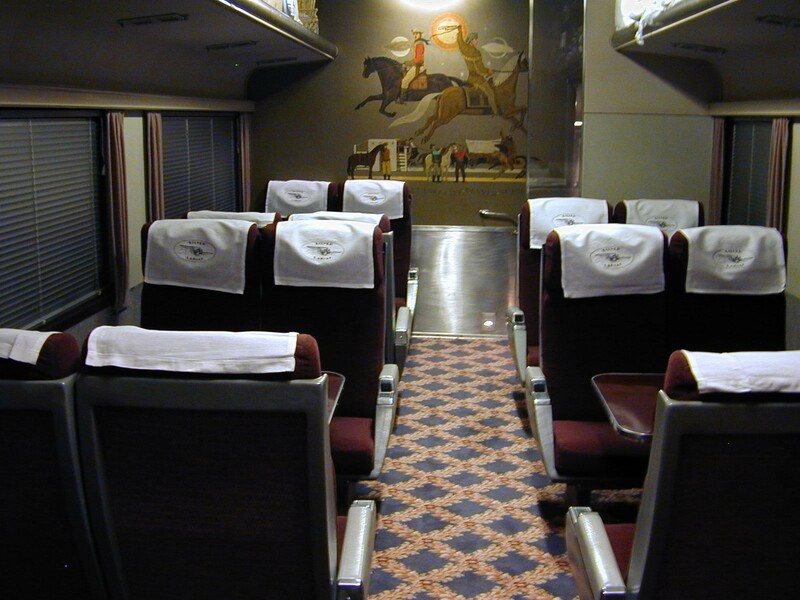 A unique feature of this train car is The Pony Express, a restored original mural by Mary Louise Lawser that was commissioned by the Burlington Railroad when the car was built. CVSR acquired the car in August September, 2018. 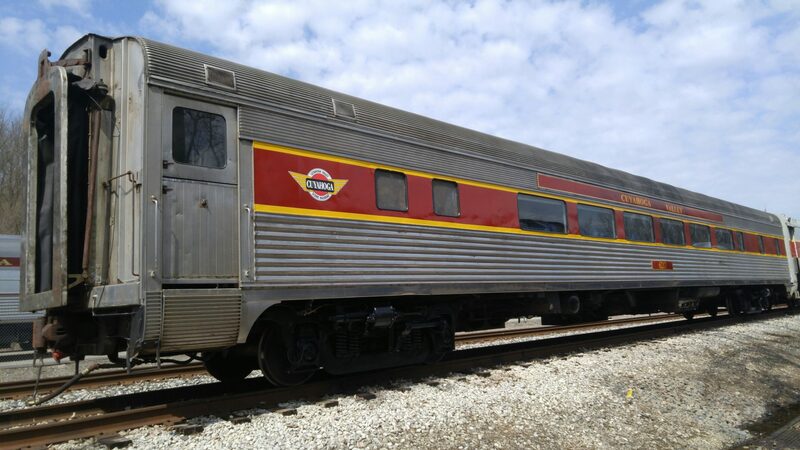 History: Silver Rapids was built in 1948 by the Budd Company and served as a transcontinental sleeper car that provided coast-to-coast transportation for almost 20 years. 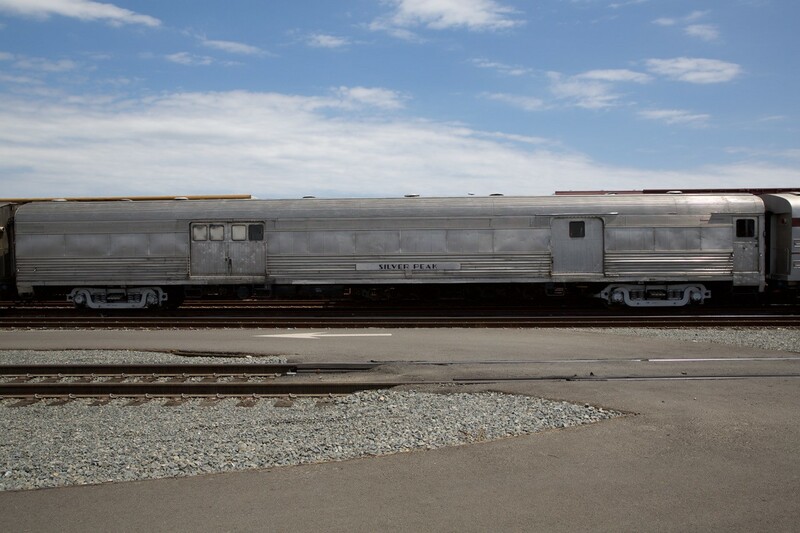 The car was removed from the California Zephyr service in the 1960s when most transcontinental sleepers were discontinued, and changed ownership from the Pennsylvania Railroad to Amtrak, which retired it in the early 1980s and sold the car to a private owner. 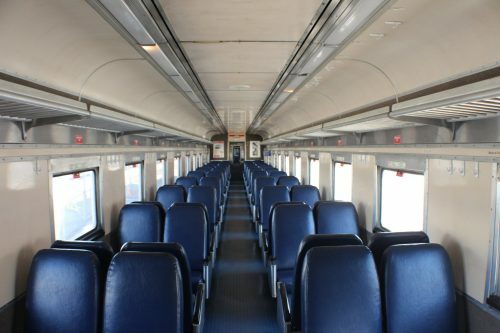 After extensive restoration work that included interior and mechanical upgrades, Silver Rapids is now one of the most versatile sleeper cars in service.The car features eight roomettes that seat two comfortably, and six double bedrooms that open up to form three suites that seat 4 comfortably. CVSR acquired the car in August September, 2018. History: Silver Peak was built in 1940 by the Budd Company for Burlington Northern Railroad and assigned to the Denver‐Ft. Worth Texas Zephyr. 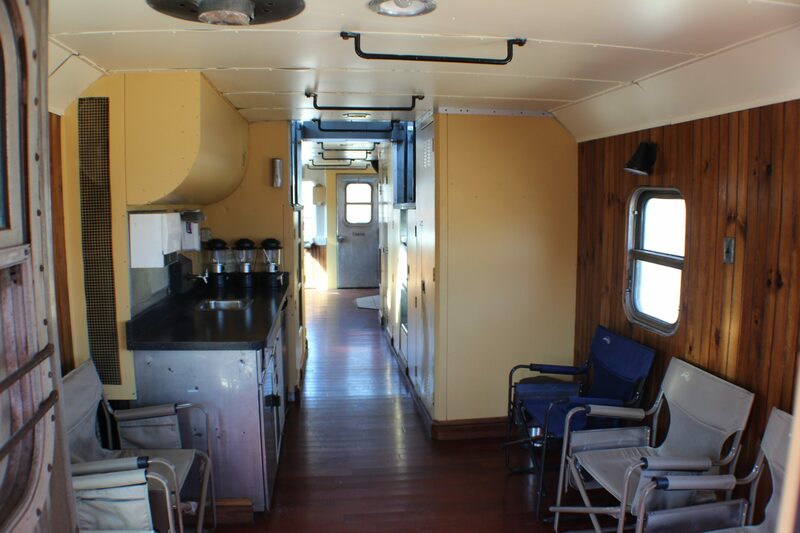 Originally built as a coach/dormitory/baggage car, the coach area was used as the Jim Crow section of the train. When the Jim Crow laws were found to be unconstitutional, it was converted to a full baggage car. CVSR acquired the car in August September, 2018. History: Silver Solarium was built in 1948 by the Budd Company for the Chicago, Quincy & Burlington Railroad as CB&Q #377. 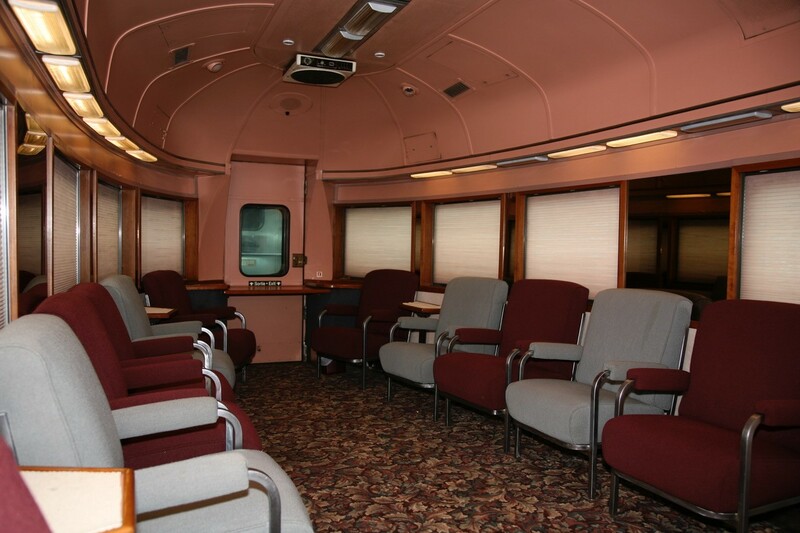 It was one of the six dome/sleeper/observation cars specifically built for the California Zephyr. Ownership of the car was transferred to Amtrak in 1971 and renumbered it as #9252, after more than 20 years of service between Chicago and San Francisco. Amtrak retired the car in 1978, and sold it to Nav Fosee/Cedar Rail Enterprises/Silver Rail Company in 1985, where it was renumbered back to #377 and restored to its original appearance. Silver Solarium was then sold to Roy Wullich/Rail Journeys West in 2002 where it entered into charter service after it received modern upgrades in 2003. It was then leased to California Zephyr Railcar Charters until 2018. 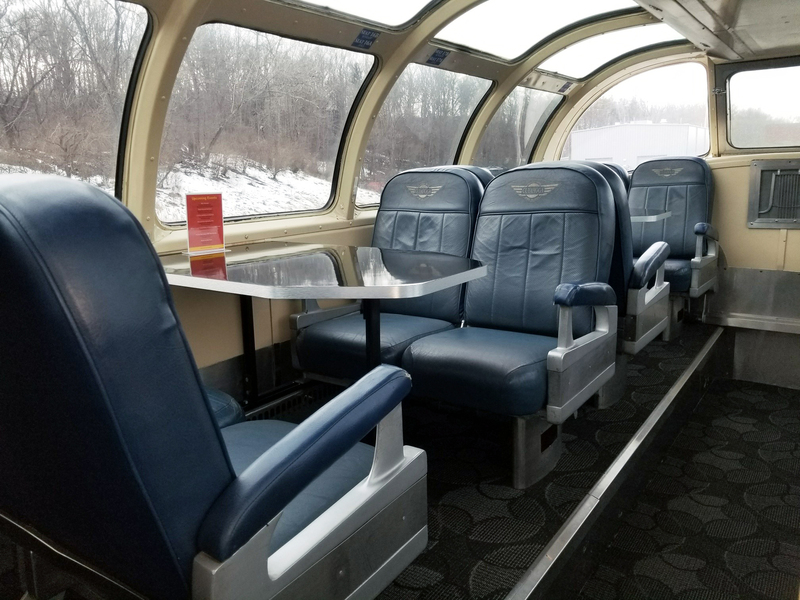 Today, the Silver Solarium has been fully renovated and has been operating as a private car, delighting passengers with stunning views from its Vista Dome and observation lounge. 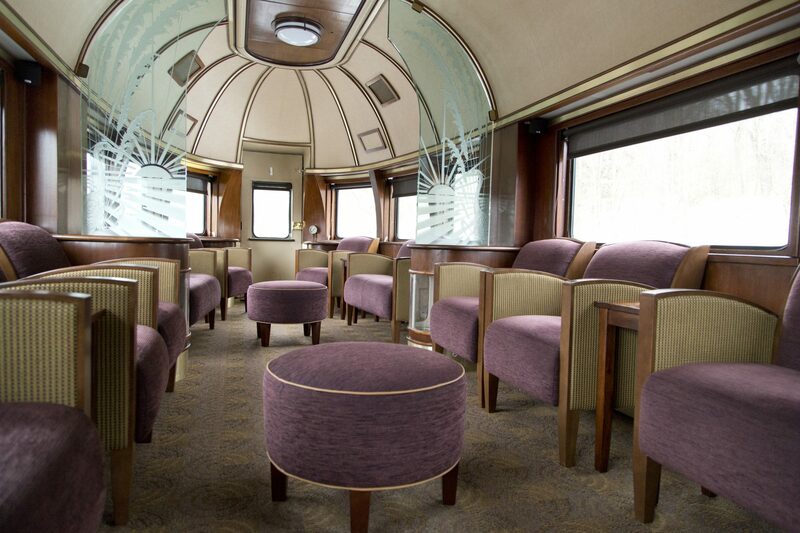 The observation lounge seats 11 in classic railroad lounge chairs, and the Vista Dome car seats 24 in booth seating at tables. CVSR acquired the car in August September, 2018. History: Built by the Budd Company in 1948 and named the Silver Bronco, Coach #1105 began service on the California Zephyr and Rio Grande Zephyr, operating over the Chicago, Burlington and Quincy Railroad from Chicago to Denver, the Western Pacific Railroad from Salt Lake City to Oakland, and later on the Denver & Rio Grande Western Railroad between Denver and Salt Lake City. Philadelphia architectural firm Harbeson, Hough, Livingston and Larson designed the interior, and the painting on the wall of the back cabin is called Central City by Mary Louise Lawser. The car was originally fitted with a forward section reserved for women and children only. Service was discontinued in 1983 and the Silver Bronco became the property of Denver and Rio Grande Western Railroad’s parent company Ansco. 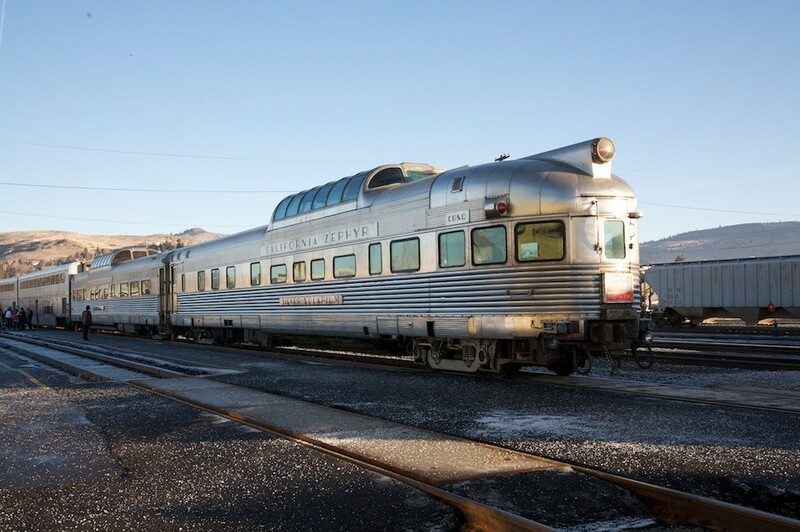 In 2006, the Silver Bronco was sold by Ansco into private ownership and sent to San Antonio, becoming the last car built for the California Zephyr to pass into private ownership after spending all of its 58 years with the Rio Grande. Cuyahoga Valley Scenic Railroad purchased the car from a private owner in 2011. The car was restored with sponsorship by Emerson Electric, and was renamed the Emerson Dome Car. When the sponsorship ended in 2012, the Silver Bronco took back its original name. On May 26, 1934, the first of the Zephyr train consists—the Burlington Zephyr—set out on a maiden voyage that broke a number of world records in train travel. Among the world’s first trains to be streamlined and constructed of stainless steel, the Burlington Zephyr set the world record for the longest and fastest nonstop railroad run, speeding over 1,000 miles across one‐third of the North American continent in a little less than half the time it would have taken a standard train of that time. The diesel fuel used was just 418 gallons and cost only $16.72, an unbelievably low amount since diesel fuel at the time cost only four cents a gallon (just 6.7% of the cost of a steam train). The trip forever changed the way passenger trains would be built and signaled the end of the steam engine. 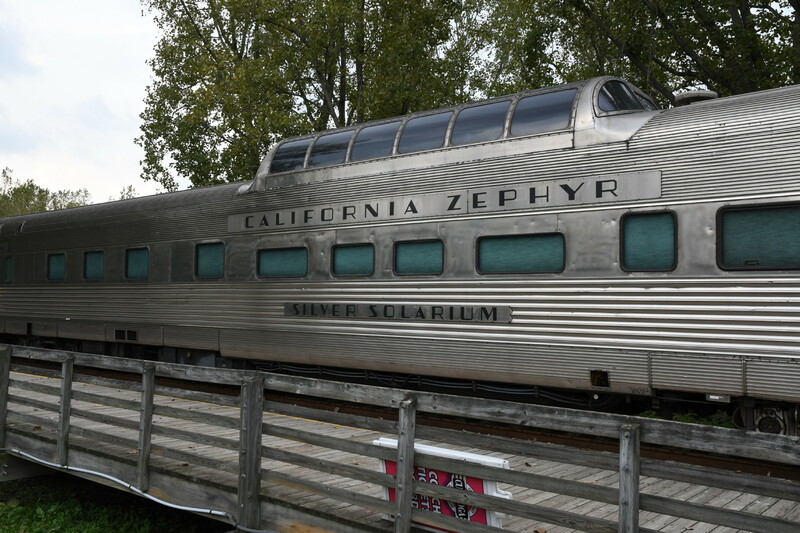 In addition to its revolutionary construction and record‐breaking speed, the Burlington Zephyr—renamed the Pioneer Zephyr on its second anniversary—birthed a family of Zephyr trains to be manufactured by the Budd Company over the next 50 years. 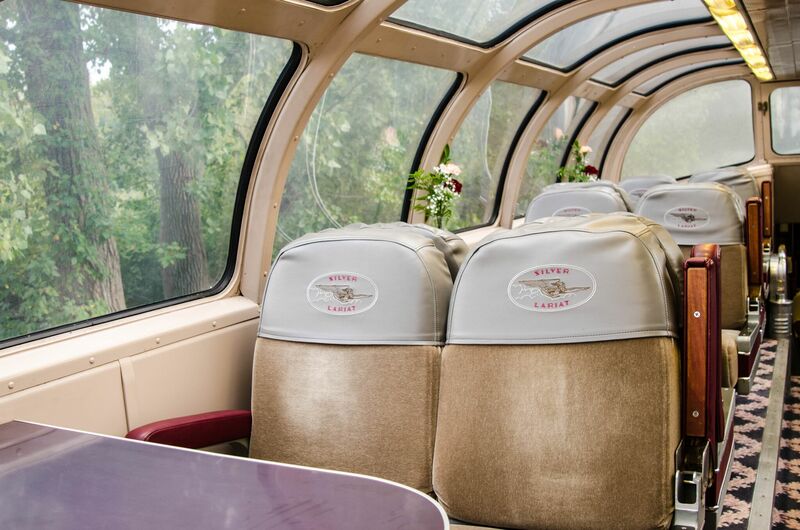 Among them was the California Zephyr, also known as the Silver Lady, a pioneer in luxury passenger train travel. Dubbed “the most talked about train in America,” the California Zephyr made its inaugural eastbound run on March 20, 1949 with service between San Francisco and Chicago that covered 2,525 miles and took an average of 2.5 days to complete. The California Zephyr offered sophisticated dining experiences with linens and china; sleeping compartments that ranged from the elegant staterooms complete with bathrooms, showers, drawing rooms, and bedrooms, to the cozier “roomettes”; and Vista Dome cars with windows on every side—including the ceiling—to provide breathtaking panoramic views of the passing mountains, rivers, and countryside. The California Zephyr operated as a passenger train for 20 years, and its 77 cars were later sold to different companies and private owners. Over the years, the majority of these stainless steel cars have all but disappeared from America’s railways, having been sold off (often to foreign countries), scrapped, or simply left in storage and fallen into complete disrepair. CVSR’s acquisition of the trainset will enable us to preserve a vital piece of our nation’s railway history that was at serious and imminent risk of being forgotten. History: Car #3126 was originally built as a parlour car for the Pennsylvania Railroad. 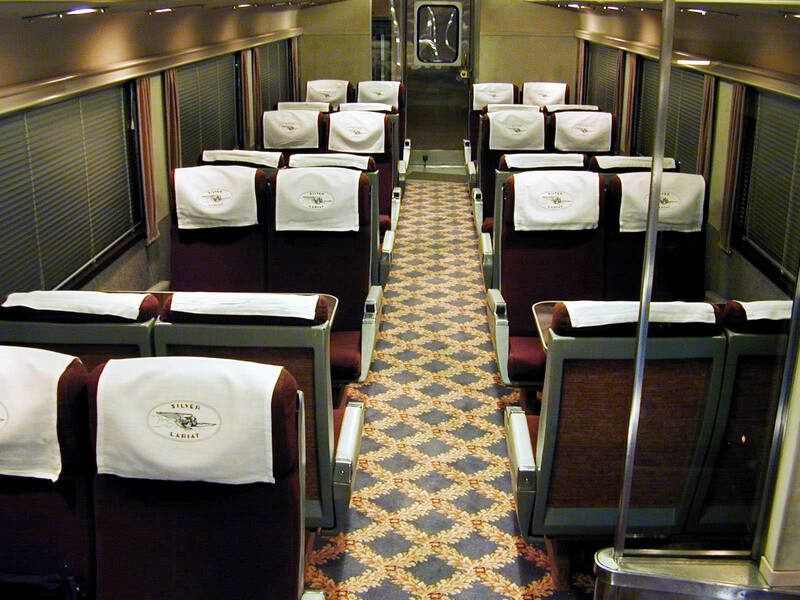 It was rebuilt by Amtrak as a Heritage Lounge Car, then rebuilt again for Montreal service. CVSR acquired the car in 2006. Car #3126 is currently used for special events and excursions. History: The Saint Lucie Sound was originally built in 1946 by the Budd Company for the Florida East Coast Railroad. St Lucie was sold to the Canadian Tower Limited in 1986 where it was refurbished. CVSR acquired the car from the Haslinger family in 1995. 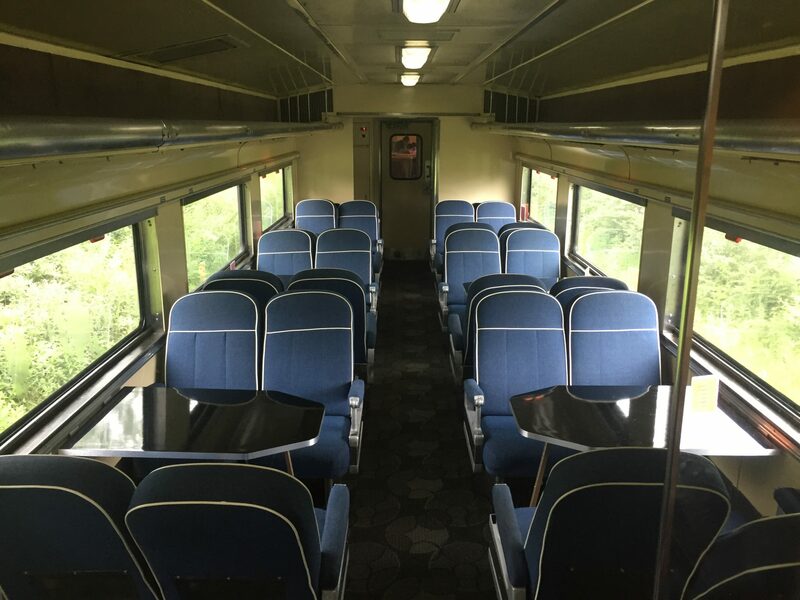 In 2014, CVSR raised funds to renovate and restore the car’s interior to its original appearance. The colors and concepts were inspired by the historical, 40s-50s lounge look of the car when it was built. The car features hand-etched glass dividers and display cases that were preserved and highlighted. In 2016, CVSR volunteers, with the assistance of ICA Conservation, dedicated more than 1,000 hours to remove flue from an original mural on the bar area which had been covered with carpet. History: The Paul Revere was built in 1951 with a 29 seat parlor and 5 seat drawing room and was originally used in the Pennsylvania Railroad’s Senator and Congressional fleets out of Boston, New York City and Washington D.C. The car was later acquired by Amtrak before being purchased by a private investor in Ohio in 2006. The car has since been rebuilt into its original cafe-lounge Pennsylvania motif. CVSR has been leasing this car since 2017. History: Car #727 was built for the Central of Georgia Railway as a combine baggage/passenger and named the Fort Mitchell. #727 was sent to the Northern Railcar Company in the winter of 1987. It was completed in 1988 and entered service that summer. CVSR acquired the car in 1995. In 1998 it was converted by Northern Railcar Company to a 36-seat wheelchair accessible coach. The baggage end contains the wheelchair lifts and a small counter for concessions. TRIP Funding provided by the National Park Service in 2012, allowed for the relocation of restrooms, replacement of obsolete wheelchair lifts, and additional wheelchair friendly seats to allow CVSR to continue to be ADA friendly and service additional requests. History: Car #105 was originally built by the Budd Company in May of 1952 for the Boston Maine Railroad as an RDC-3 with a Railway Post Office section, a baggage room and passenger seating area. CVSR purchased the car in 2008 from Georgia Southwestern Railroad, and the RDC-3 was de-motorized and turned into a regular coach in 1982. Its end doors were not converted into ADA standards until CVSR had it rebuilt in 2009 by way of a grant from the National Park Service. 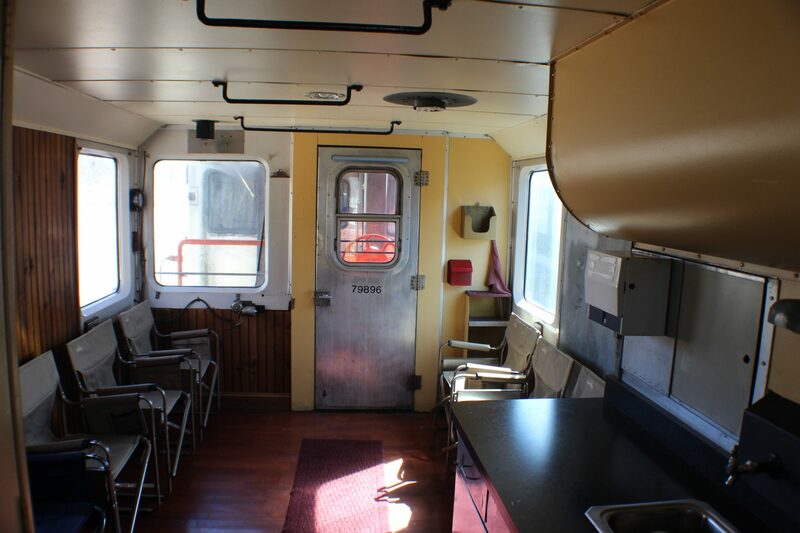 History: Originally built as a U.S. Army Kitchen car #89670. It was transferred to Amtrak and the car was converted into baggage car #1306. In 1975, Western Engine Company converted #1306 into a Head-End Power Car (HEP) which was renumbered by Amtrak to #294. Amtrak renumbered the car to #688 in 1977. The car is sold in the mid 1980’s to a group of private car owners who used it on excursions and leased it to various tourist railroads. CVSR purchased the car in 2001. History: CVSR purchased this car from R.P. Flynn in January, 2016. 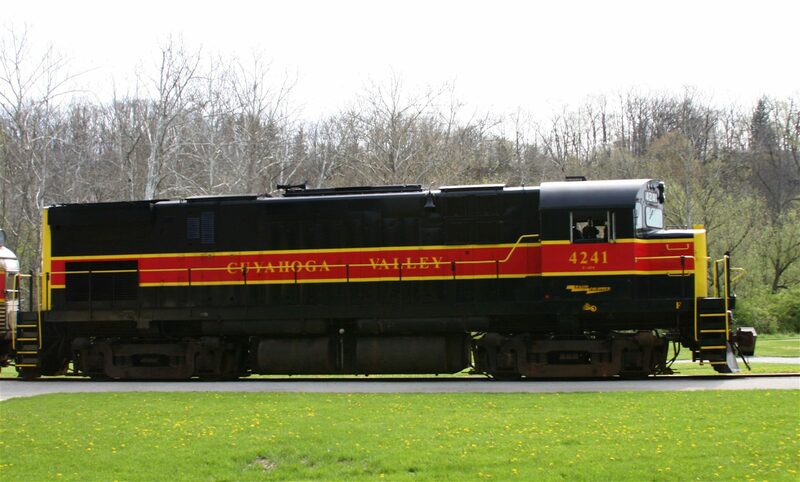 © , Cuyahoga Valley Scenic Railroad. All Rights Reserved.